In almost 50 years of messing around with cars - selling, driving, mechanicing, competing, writing about them and working in the industry I guess the most vivid element of my enjoyment is that I am a ‘styling junkie’. 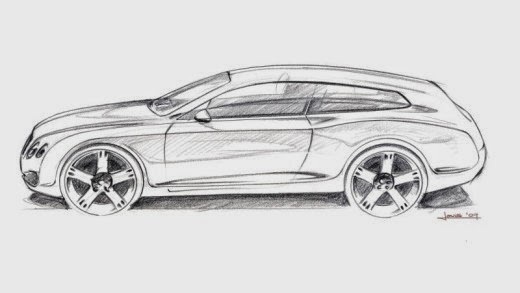 I am fascinated with car design and engineering, and fortunately for me there are a large number of designers among my car industry acquaintances. It’s been my good fortune to know people like Fabrizio Giugiaro, J. Mays (Ford), the late Geoff Lawson (Jaguar), Adrian Griffiths (Bertone), Walter de Silva (Alfa Romeo, VWAG), the late Roy Axe (Rover), Ian Callum (Aston Martin, Jaguar), Dirk van Braekel, Raul Pires, Robin Page (Bentley), Peter Horbury (Volvo), Jack Telnack (Ford), Gordon Sked (Rover), Leo Pruneau (Holden), Scott Strong (Ford Australia) and many others. They’ve all been totally different personalities, and from a variety of backgrounds. However, one of the most interesting people I’ve met in just the last few years is the Belgian-born Louis de Fabribeckers. 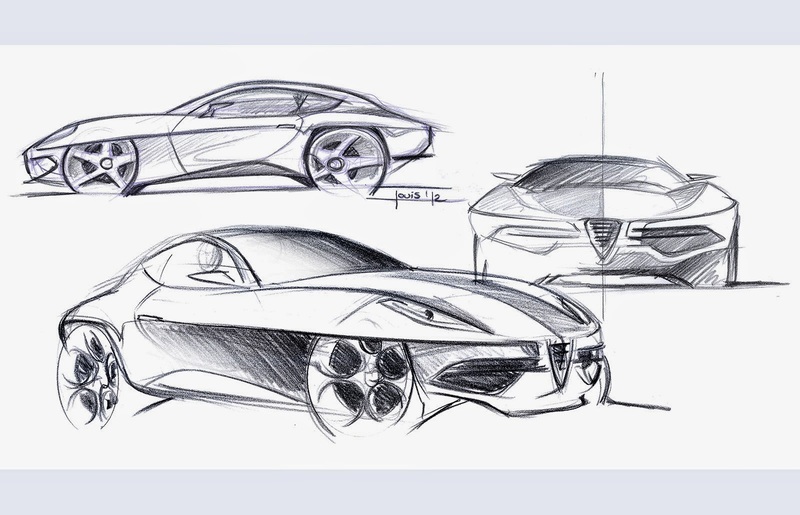 He is currently the in-house designer for Touring Superleggera of Milan. 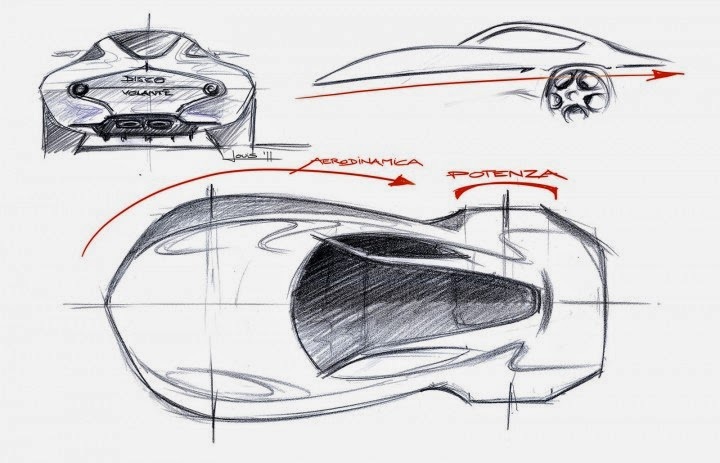 Touring has a long and illustrious history and I’ve written about them when the company showed the Bentley Flying Star Shooting Brake in Geneva in 2011; and later when Louis’ latest creation, the contemporary Disco Volante, debuted at the Geneva Salon in 2013. This year in Geneva, Touring displayed not only the new Disco Volante, which is based on the platform and mechanicals of the current Alfa Romeo 8C Competitizione, but it was granted the privilege of showing the original 1952 Disco Volante coupe, specially released by the Alfa Romeo museum in Arese for the occasion. On the second of the two press days in Geneva it is much quieter on the Show floor, and you get the chance to enjoy longer and more involved conversations with many of the personalities who attend. Ambling up to the Touring display I found a relaxed and talkative Louis de Fabribeckers, who was very keen to discuss the creation of the latest Disco Volante. Standing next to the 1952 car, he said the toughest part was to ‘emulate’ the original theme without copying the lines, or making a retro-looking modern version. He also eschewed blending some of the original themes with new ideas to make a ‘design pastiche’. 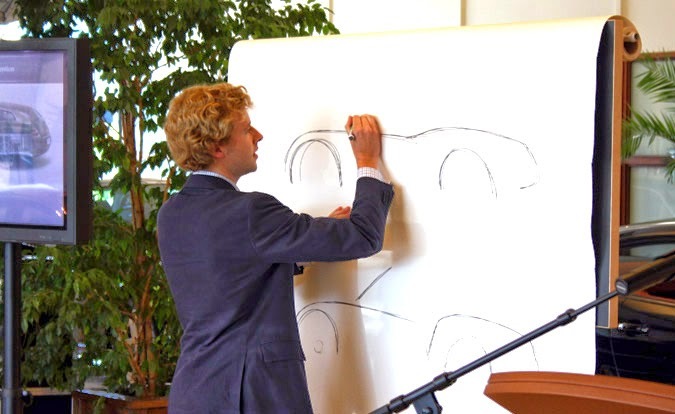 LdF: "This allowed us to cover the front wheels, without increasing overall width. It was a combination of brave design elements, and very tiny and subtle changes. I think we achieved the finished result with many small details." 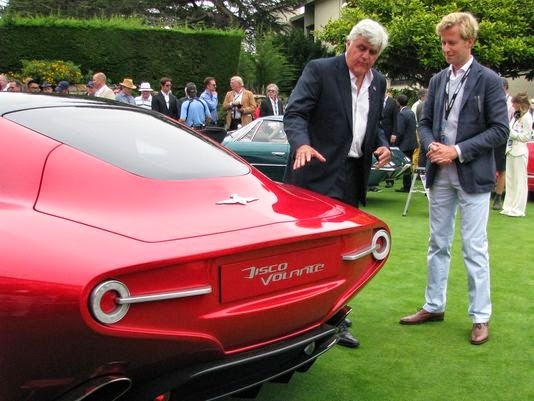 a lot of well-known car buffs, including one of the world's great enthusiasts - Jay Leno. I was so impressed with Louis’ obvious design skills and his air of confidence and yet he has an attractive humility too. 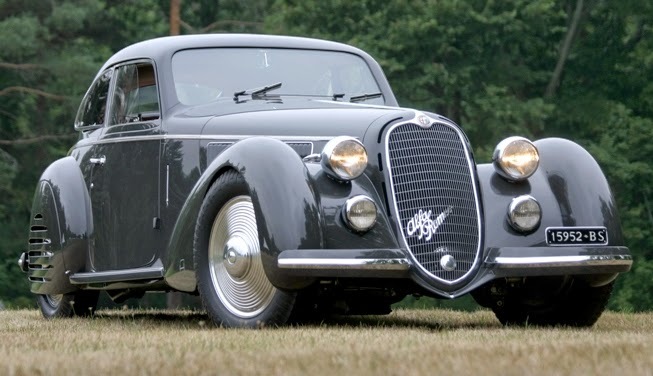 Like Touring Superleggera of Milan, Louis de Fabribeckers boasts an impressive lineage. Although Louis enjoys a long, and impressive family line descending from Belgian royalty. In fact Louis can directly trace his lineage as far back as the Knights of the Holy Roman Empire of 1705, and subsequently the family name of the ‘Fabribeckers of Cortils and Grace’. Despite this grand family tree Louis is charming and self-effacing. He is at pains to remind me that his design can only be brought to realism by the outstanding craftsmen he works with at the Touring of Milan production facility. Of course, cars like the Bentley Flying Star and Disco Volante are only built to special order, and thus the buyers of these cars have the pleasure of owning a unique and very limited production classic. 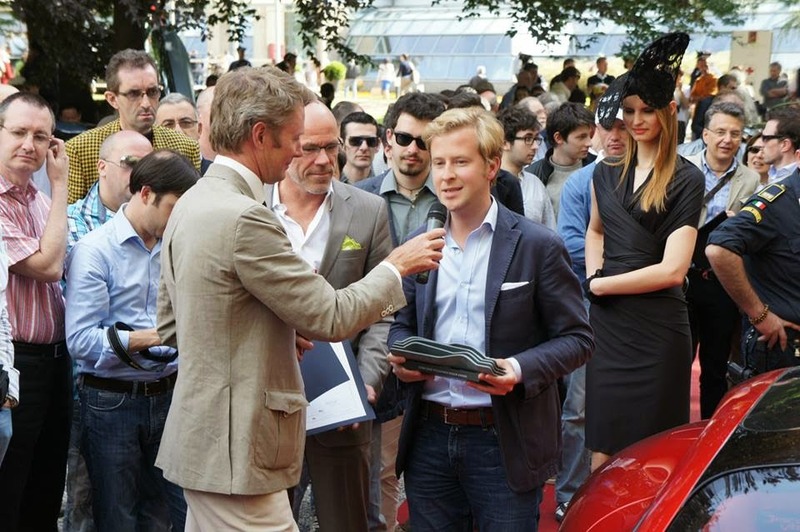 Last year Louis de Fabribeckers accepted a major award at the Villa d’Este Concours d’Eleganza for the Disco Volante – which spurred more interest among wealthy collectors. It’s great to see that there is still enough taste and desire for beautifully-crafted automotive designs among the current crop of collectors and enthusiasts.